Do you want to bring home something besides memories of a great program and luncheon? There are two ways you can spend your dollars and plant more daffodils. 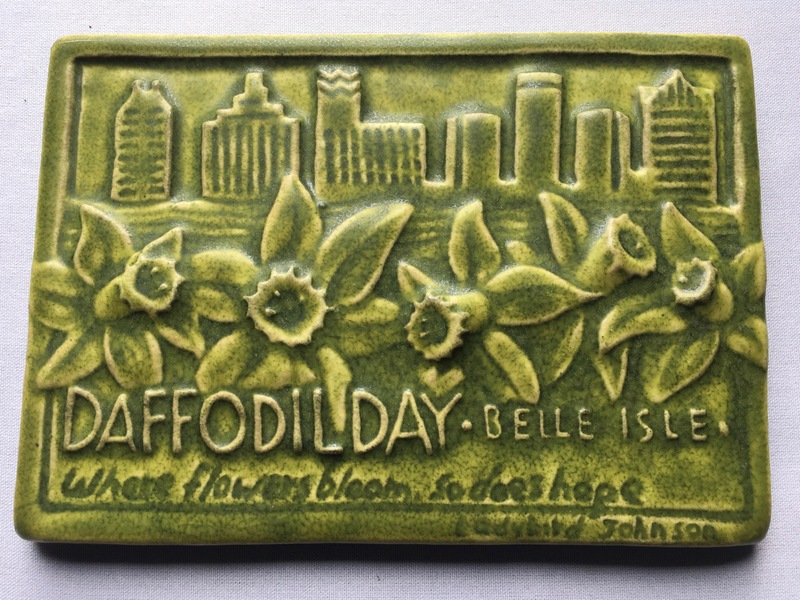 The Daffodil Day Tile, commissioned from Whistling Frog Tile Company, is available agin. Last year’s yellow-green tiles were extremely popular and have completely sold out. This year the Daffodil Day tile has been re-issued in a glossy “tree frog green” glaze. Tiles may be purchased for $50 and picked up before the luncheon. Please see the ticket order form for more information. Only a single firing of a hundred Daffodil Day tiles will be made. Please order early to assure that you are not disappointed. A limited quantity of tiles will be available on Daffodil Day. Your $50 tile purchase will plant 150 daffodils! Rick Pruckler graduated from the University of Michigan with a Master of Fine Arts in Ceramics and Sculpture. 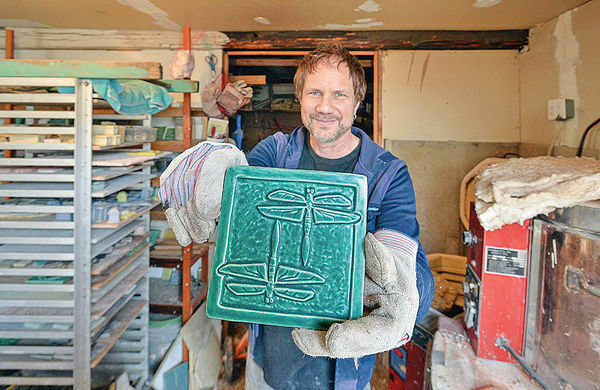 After working for several years at Historic Pewabic Pottery, he started Whistling Frog Tile Company. He continues to work as an instructor at Pewabic. Last year, an original Daffodil Day design was hand sculpted by Rick and cast into a mold. This year’s tiles will be cast in the same one-of-a-kind mold. The tiles will first be dried and bisque fired. Then, a custom Whistling Frog glaze will be added and the tile will be fired again. The glaze will melt in the heat of the kiln and coat the tile with a lovely glossy “tree frog green” surface. Each tile is a unique work of art and will make a beautiful gift or addition to your home. If you would like to wear your purchase home, you are in luck! 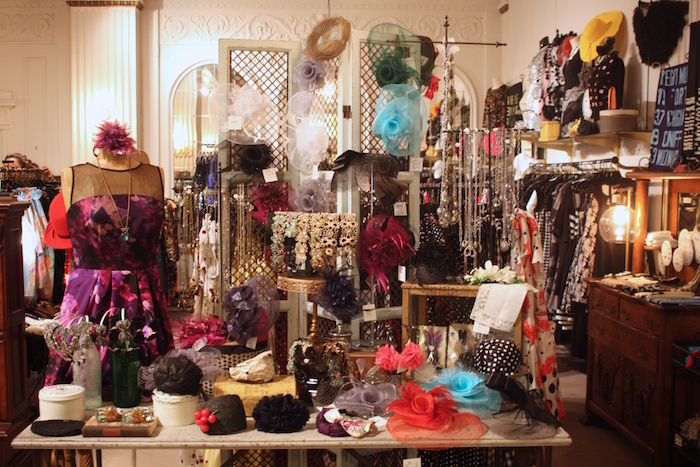 Rachel Lutz’s Peacock Room, specializing in avant-garde vintage and vintage-inspired clothing, will again join us. 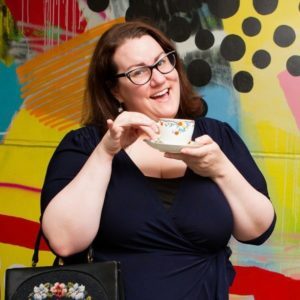 Since Rachel started the Peacock Room in 2010, it has become the place for unique and eclectic women’s fashion in Detroit. Located in the Park Shelton, on the new M-1 rail line, it is a popular stop after visiting the Detroit Institute of Arts or a restaurant in Midtown. Peacock Room models will present a strolling fashion show in the lobby featuring items with a spring or botanical theme. Before and after the luncheon, Rachel will be there to sell clothing, jewelry and accessories. Hats will definitely be popular choice. Rachel has graciously offered to donate 10% of sales to the daffodil project.